Whether it is an overnight camping underneath the stars, a party at the rooftop, a picnic at the park, a refreshing day at the beach or just an intimate get-together with friends in the backyard, an outdoor activity will not be as fun without a great music playlist. In order for you to play your favorite tunes outside your house, you must have a good outdoor speaker. Nowadays, most portable speakers use Bluetooth technology, which links the speaker to other devices like smartphones and laptops to play music. With outdoor Bluetooth speakers, we are able to play music anytime, anywhere. 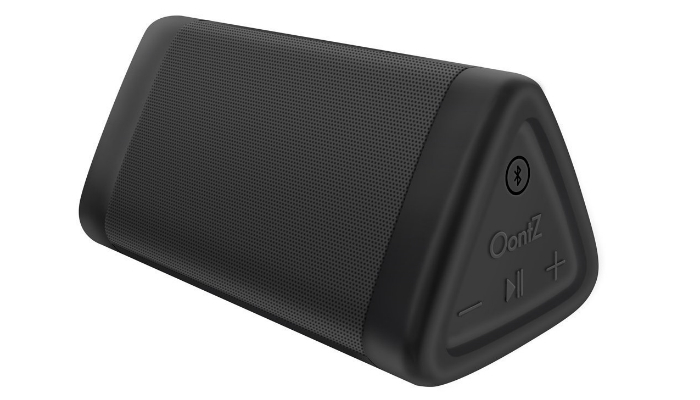 Cambridge SoundWords OontZ Angle 3 Next Generation Bluetooth Speaker is high-quality due to its “crystal clear” audio. When we say crystal clear, it means that songs will have distinct treble and bass sounds. Aside from clarity, this outdoor Bluetooth speaker can also be very loud without compromising the quality of highs and lows. Of course, you may also use this indoors because of its room-filling audio quality. This portable speaker will still sound good even if you place it inside small spaces such as bathrooms and cars. The main reason why this Bluetooth speaker is a must-have for outdoor use is its features fit for open areas. It is resistant to sand, dust, rain, and splash which is perfect for a good music trip while you are lounging on a comfortable beach chair near the sea. 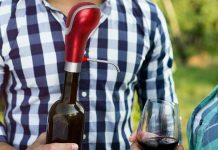 It is also perfect for travel, thanks to its 12-hour playtime capacity, built-in microphone for safe driving, and curvy design for easier packing. You may check out our tips on how to pack a hiking backpack properly for more knowledge about traveling preparations. 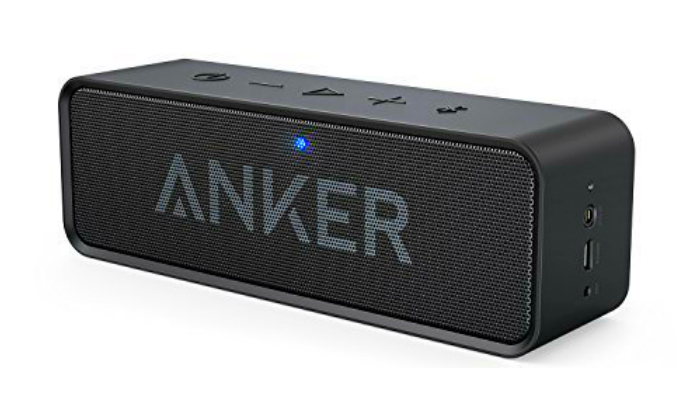 Anker SoundCore Portable Bluetooth Speaker takes it up a notch with its extreme 24-hour playtime capacity and range of up to 66 feet away from the source of the sound. 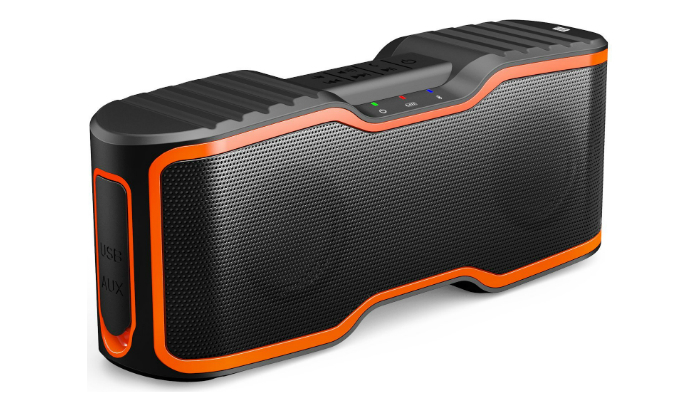 Because of the 24-hour battery life feature, this outdoor Bluetooth speaker can play more than 500 songs continuously. There is no limit regarding its Bluetooth compatibility. Any device can connect with this product. 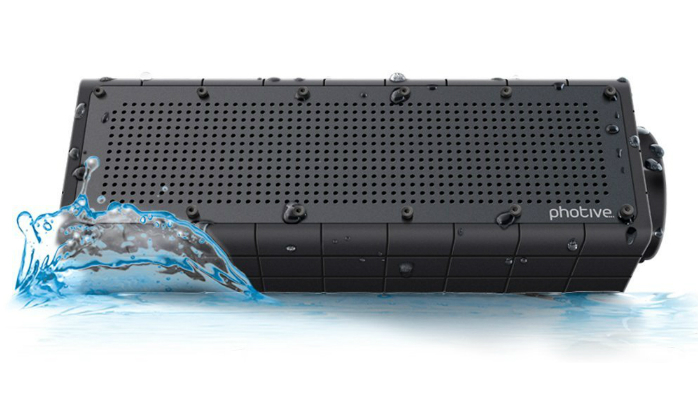 Photive Hydra Portable Waterproof Rugged Bluetooth Speaker amazingly has a subwoofer built into it. Subwoofers are excellent in creating bass sounds. 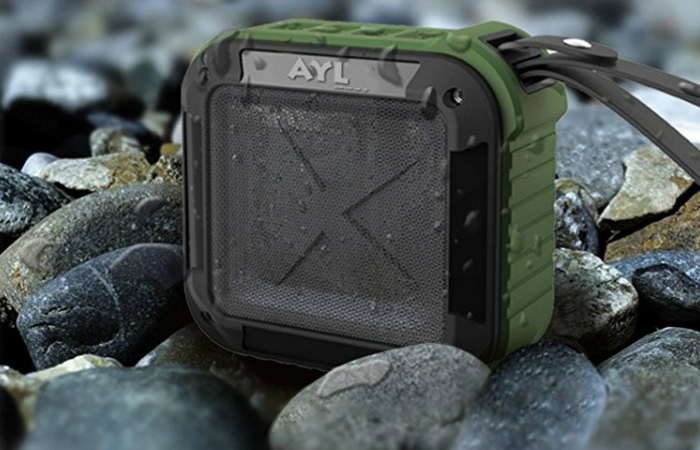 That’s why this outdoor Bluetooth speaker is the perfect gift for bass-lovers. 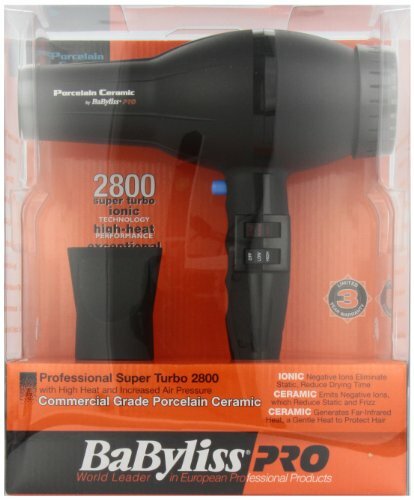 Due to its waterproof feature, it can be used in the shower. A single charge is all you need to use it again for eight hours nonstop. 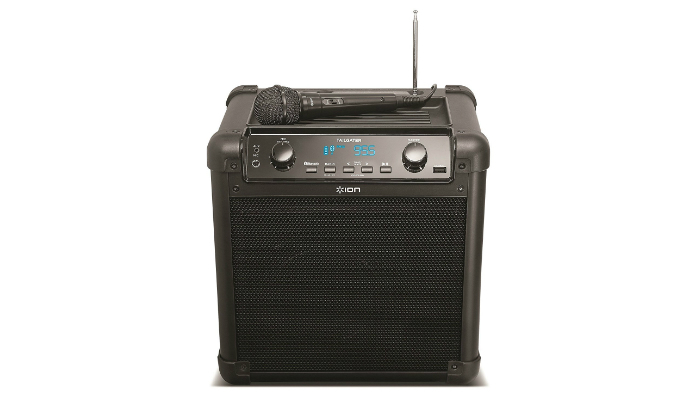 ION Audio Tailgater iPA77 Portable Bluetooth Speaker is the biggest and heaviest one in our list. It is meant to satisfy a big crowd with high-quality music. Despite its larger size, it is better than traditional big speakers because of its modern features, especially Bluetooth, 50-hour battery life and power bank. You can surprisingly charge your devices with this outdoor Bluetooth speaker through a USB cord. Just to be sure though, in order to avoid compromising the battery life of the ION Audio speaker, purchase one of the best power banks for maximum usage. AOMAIS Sport II Portable Waterproof Bluetooth Speakers 4.0 has additional outdoor-ready features such as resistance to mud, impact, shock, and snow. It is extremely waterproof that it comes with its own inflatable float, so you can use it while you are swimming. Strong winds cannot disrupt the audio quality of this outdoor Bluetooth speaker. The design is so trendy that it can be a great gift for youngsters. AYL SoundFit Outdoor Bluetooth Speaker has enhanced wireless compatibility. It is much faster than most Bluetooth speakers when it comes to pairing with other devices. It can play nonstop for 12 hours even with high volume. Considering its playtime, the three-hour charging time is pretty quick actually. You do not need to worry when you accidentally drop this outdoor Bluetooth speaker in the water. It will surely remain okay, as long as you will not let it submerge for a while. Since you will be using your Bluetooth speaker outdoors, finding a tough, durable one must be your top priority. Get the type that can withstand impact, harsh environment and all weather conditions so it can last for many years. Choose a model or brand with the labels “weather-resistant” and “waterproof” as these features determine the speakers’ durability in wet surroundings. There are several outdoor speakers that are not weather-resistant or waterproof. 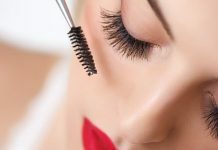 It is recommended that you keep them indoors after outdoor use since they are not designed to be exposed to varying weather conditions permanently. In terms of water-resistance, speakers that are waterproof can survive accidental plunges since these are submersible. A simple way to determine the quality of your speaker’s sound is by listening to a complex song with dynamic highs and lows. Afterwards, compare the speaker to the audio quality of your headset. The sound quality of the speaker is good enough if it is on the same level of awesomeness as the headset. 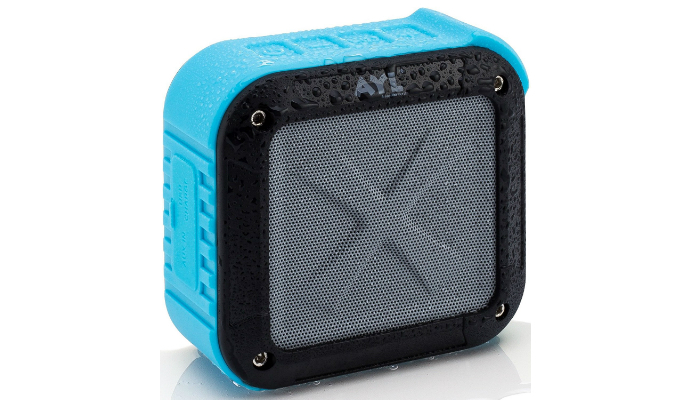 Most outdoor Bluetooth speakers are small but can deliver full-range audio wherever you go. A good speaker should not deteriorate its sound quality when you blast the volume. Choose a model with a high wattage for more powerful sounds. However, size actually matters for high-performance speakers meant for big crowds. The number of speakers can also affect the device’s size and your whole music experience. Still, there are a lot of internal and external factors to consider about a speaker’s sound quality. Bluetooth speakers are obviously portable, proving their usefulness anywhere you go. As for the size, there are a lot of small outdoor speakers because most buyers prefer handy ones. They can fit smaller bags. Some of them even have handles so you can carry or hang them anywhere you want to. In terms of batteries, all modern portable speakers are rechargeable so you can carry them around without worrying about buying new batteries in case they run out. Some portable speakers are even solar-powered, which is an environment-friendly source. Always check the label for the product’s battery life for longer playtime or use. The best outdoor Bluetooth speaker must ace durability and portability. Do not forget to let your ears be the guide before purchase. If it sounds good, then it will be definitely worth the buy.